Buying a WiFi light bulb with a hub or bridge is no small commitment. 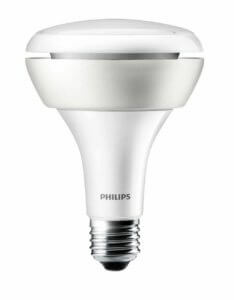 Along your search for the best smart light bulb, you will almost certainly come across Philips Hue. From bulbs to light strips to switches, Hue products come in a variety of designs but have one thing in common: they are all highly rated on Amazon. 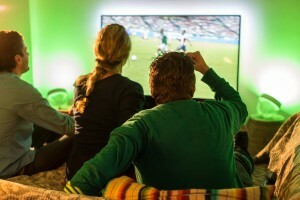 But is Philips Hue worth it? You have to initially purchase a starter pack. For a price reference, he required starter pack for the standard A19 bulbs currently runs around $150 on Amazon for the bridge and 3 bulbs, leaving you feeling a little locked in once you commit to the brand. The best way to decide if Hue is worth it is to take a look at exactly how the Philips Hue alters your day-to-day life compared to other WiFi light bulbs. Your home will be truly connected. 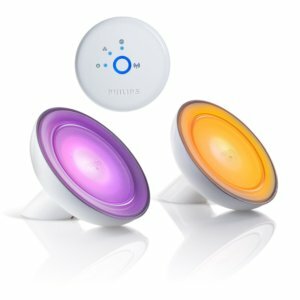 If you have a Nest Cam/thermostat, or Amazon Echo, you can connect them to your Philips Hue. “Alexa, turn off the living room light.” “Alexa, dim the light to 7%.” Since Nest knows when you’re home or away, it can notify your Hue lights to switch on, making it look like you are home, and switch off later to save energy. You can connect to Siri. 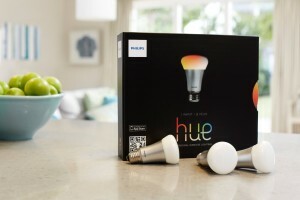 Hue is one of the only HomeKit-compatible bulbs. That means you can tell Siri to set the room to movie scene, or turn off your lights. You can save money on white lights. Philips Hue white light bulbs are fairly inexpensive compared to others, making it cheaper to cover your home in smart lights. You will stop opening apps to control your lights. If-this-then-that (IFTTT) allows you to set rules for your smart devices, such as if it’s 7 p.m. then turn on the lights, or if the Panthers score, turn the lights blue. This works with other WiFi light bulbs, but not all of them. Your energy bill may go down. When switching from conventional to WiFi light bulbs, you may find your energy costs to decrease. That’s because you can dim the lights to a lower brightness and set the lights to turn off at a specific time. 16 million colors will be at your fingertips. No more shades of yellow and white. Your lights can be any color you create within the app. 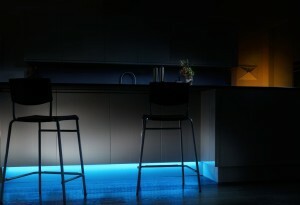 Hue also recently announced that they created ambient light to help you relax into a strong sleep routine. While other bulbs have color changing options, they don’t have features like this and as many color options. You can impress guests with extra features. Since Hue is so widely accepted, you can easily download 3rd party apps that turn your Hue into a lava lamp, disco light, or fireworks. How’s that sound for your next party? Your home lighting will finally give off the vibes you want. Seriously, who actually likes fluorescent lighting? Most lamps and lighting fixtures in our home feel harsh instead of natural. If you decide to commit to Hue, you won’t have to worry about finding a variety of lights. 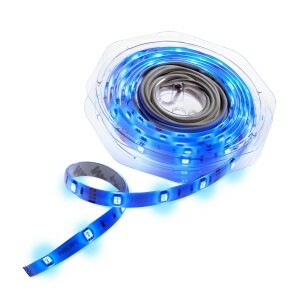 Decorative light strips, beautiful reading lights and portable lights can all compliment your WiFi light bulbs in creative, even stunning ways. You won’t be locked in to one brand. It’s fun to try out the different WiFi light bulbs (including Flux, which has a speaker built into the bulb). Without committing to the Philips Hue bridge, you leave the door open to try any new smart home tech that hits the market. Of course, you can always try other products alongside Hue, but you’re less likely to purchase outside of the Philips brand when that’s the bridge you installed. You may have more money in your pocket. The pricy required starter kit is a downside to the Hue system. Starter kits aren’t required for competitor WiFi light bulbs that do not require a hub, such as LIFX bulbs. You may be less frustrated with the app. Customers don’t really complain about the hardware involved with the Philips Hue, but the software has definitely been a frustration in the past (although it has improved). It’s worth mentioning that other smart lights might have an easier to use app. So is Philips Hue worth it? It has its pros and cons, which is why we compared it to another popular bulb in our LIFX vs Hue comparison. Still feeling confused? Head to our Ultimate WiFi Light Bulb Comparison to narrow down your options based on price, compatibility, and features.